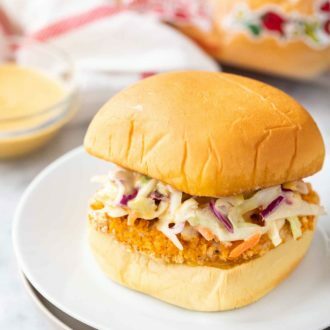 Air Fryer Fried Chicken Sandwiches are topped with the most delicious homemade sauce and crunchy slaw! This easy Air Fryer recipe is perfect for your next game day party and makes enough delicious chicken sandwiches to feed a crowd. This post is sponsored by Martin’s Famous Potato Rolls and Bread but all opinions expressed here are my own. These homemade Crispy Fried Chicken Sandwichs are made with Air Fried Chicken Breasts and are super easy to make from scratch. I love using my Air Fryer for making chicken! 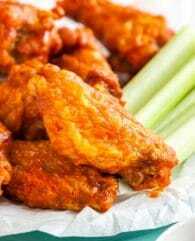 Chicken wings get super crispy without any added oil and chicken tenders get so tender and moist with a crunchy outside. 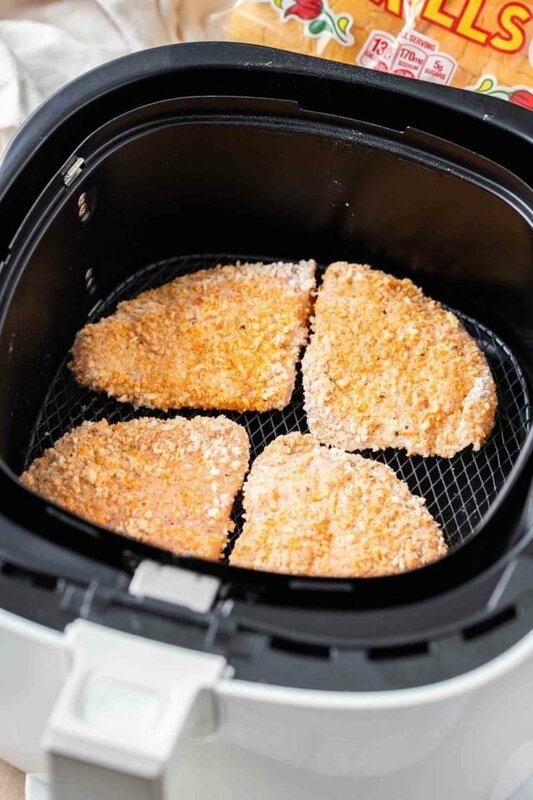 This Air Fryer is also perfect to make crispy chicken breasts to put on sandwiches. The chicken breasts are cut in halves to make them thinner and then marinated in buttermilk to make them extra tender. 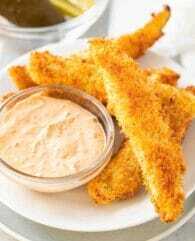 I dredge them in a dry mixture made with panko breadcrumbs, flour, and a lot of spices to make it extra flavorful. These chicken sandwiches have the perfect balance of moistness and crunch. The chicken breasts are moist and tender on the inside and crispy and flavorful on the outside. 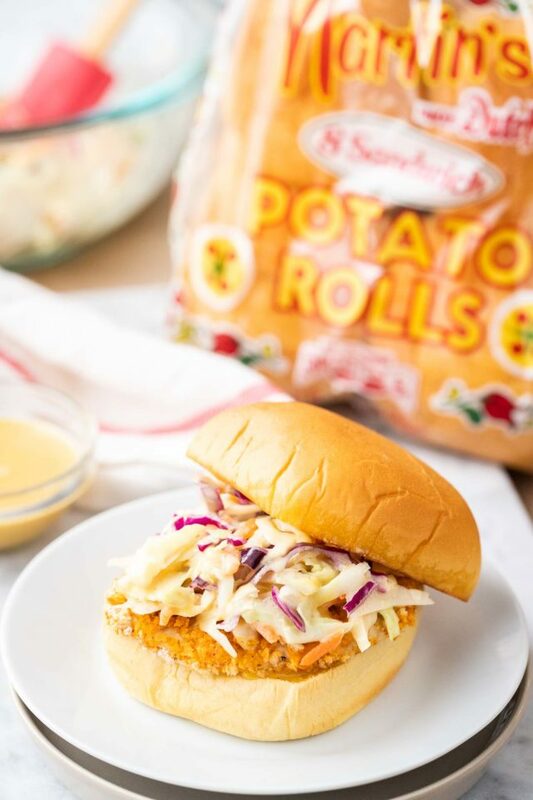 Topped with my homemade chicken sauce and crunchy, fresh slaw and served on my favorite buttery, soft Martin’s Sandwich Potato Rolls, this sandwich is always a hit and gets rave reviews from my family and friends! Choosing the right base can make or break a perfect sandwich when it comes to flavor and texture. That’s why I’m happy to work with Martin’s Famous Potato Rolls and Bread today to bring you this recipe, their Sandwich Potato Rolls are my families go-to sandwich rolls. For me, a sandwich or burger has to start with great bread and Martin’s always delivers! Their rolls are so soft and buttery with an amazing flavor. If you’ve never tried one of their products, you absolutely need to! You can even order their breads and rolls online HERE. Having a great sandwich bread and an Air Fryer on hand makes it really easy to quickly whip up something delicious like these Chicken Sandwiches for a crowd. The Air Fryer doesn’t need to be preheated and the chicken breasts only take a few minutes in the Air Fryer until they are crispy and delicious. While they are cooking you can make the sauce, mix together the slaw, and toast the buns, which means you can make this easy chicken burger recipe in less than 30 minutes. Crunchy and perfectly seasoned, these Air Fryer Crispy Chicken Sandwiches taste like they come from your favorite fast food place but are healthier because they are made with only a few teaspoons of oil. Perfect for fast food cravings and game day parties! 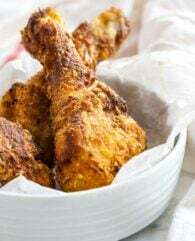 Looking for more Air Fryer Chicken Recipes? 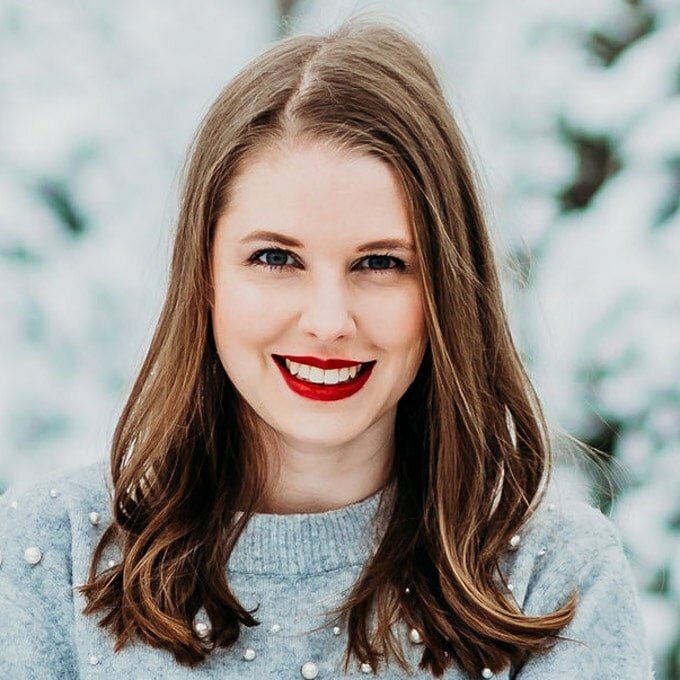 Try these reader favorites! Want to try this Air Fryer Fried Chicken Sandwich recipe? 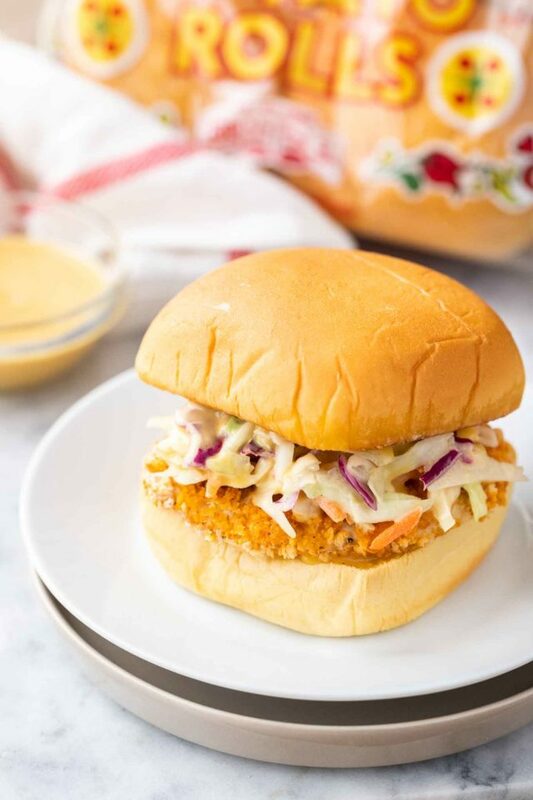 Air Fryer Fried Chicken Sandwiches are topped with a delicious sauce and crunchy slaw! 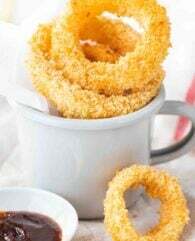 This easy Air Fryer recipe is perfect for your next game day party. Place the halved chicken breasts in a ziplock bag and pour the buttermilk into the bag. Squeeze the air out and seal the bag. Let marinate in the refrigerator for 30 minutes minimum up to several hours. 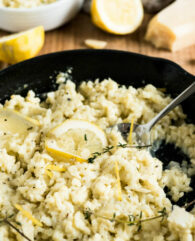 Remove the chicken breasts from the buttermilk with a fork, shake off excess buttermilk, and dredge in the breadcrumb mixture to coat on all sides. Spray with oil spray from both sides. Put the chicken breasts in one layer in the Airfryer basket and air fry at 375F (190C) for 10-12 minutes in total until internal temperature reads 175F (79C) and the chicken breasts are golden brown and crispy. Flip the chicken with a fork or cookie spatula after 5 minutes and spray with more oil if needed. 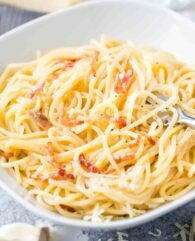 While the chicken is cooking, make the chicken sauce by combining all the ingredients in a bowl. 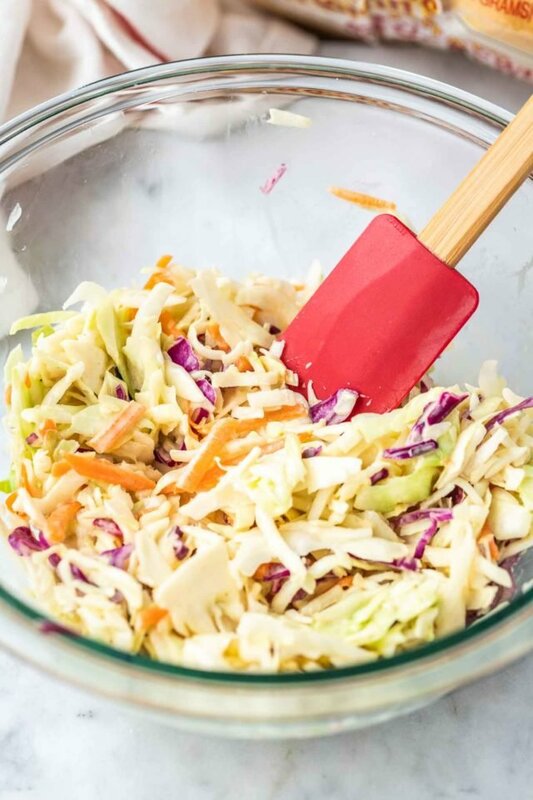 Then make the slaw by combining shredded cabbage, vinegar, sugar and salt in another bowl. Let the slaw sit for 2 minutes then add 1/4 cup of the sauce you made before and stir until combined. Then brush the cut sides of the Sandwich Rolls with butter and heat a large skillet over medium heat. Toast rolls buttered side down until browned and crisp, about 1 minute. To assemble the sandwiches, spread some sauce on the bottom roll, place a fried chicken breast on top, and top with slaw. No doubt my family will enjoy this!